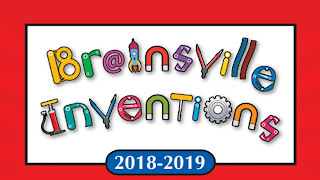 The Department of Advanced Academic Services sponsored the Brainsville Inventions competition on Saturday, January 19, 2019 at Besteiro Middle School. Over 300 students showcased their inventions and explained their creative problem solving skills to the judges. 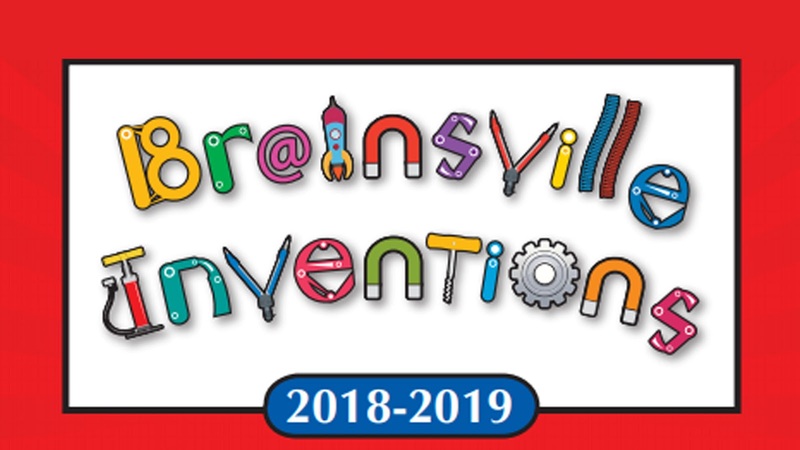 View the Brainsville Inventions Results. 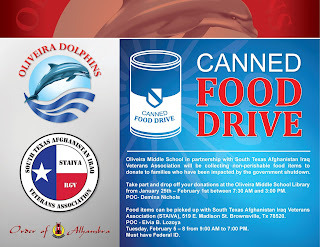 Oliveira Middle School in partnership with South Texas Afghanistan Iraq Veterans Association will be collecting non-perishable food items to donate to families who have been impacted by the government shutdown. 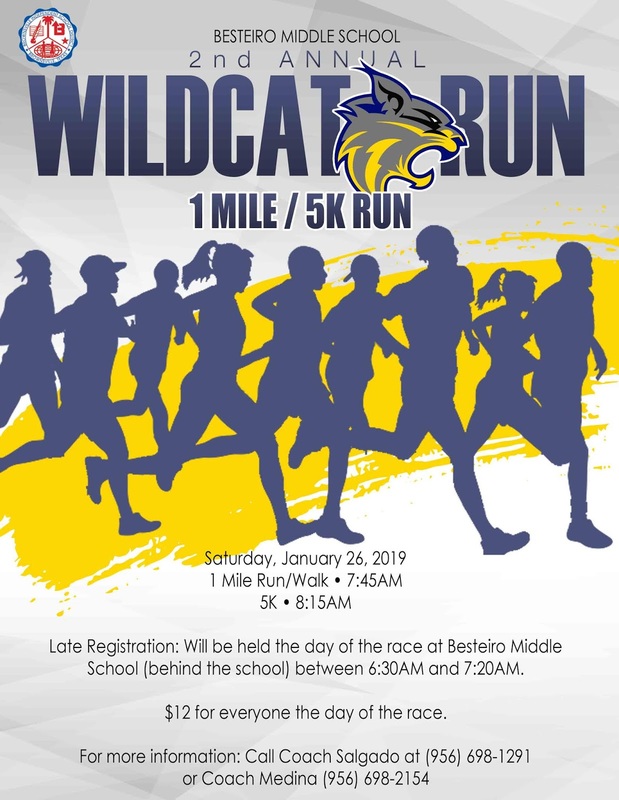 Take part and drop off your donations at the Oliveira Middle School Library from January 25th – February 1st between 7:30 AM and 3:00 PM. POC- Demina Nichols. Food items can be picked up with South Texas Afghanistan Iraq Veterans Association (STAIVA), 519 E. Madison St. Brownsville, Tx 78520. 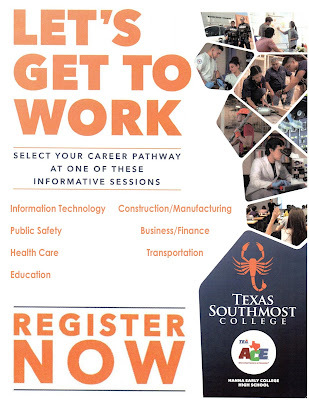 POC - Elvia B. Lozoya Tuesday, February 5 – 8 from 9:00 AM to 7:00 PM. Must have Federal ID. Brownsville Learning Academy High School is offering The Volunteer Income Tax Assistance (VITA) program, which offers free tax help to people who generally make $54,000 or less, persons with disabilities and limited English speaking taxpayers who need assistance in preparing their own tax returns. Our students are IRS-certified volunteers that provide free basic income tax return preparation with electronic filing to qualified individuals. 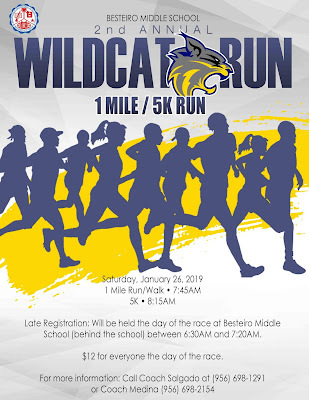 Late Registration: Will be held the day of the race at Besteiro Middle School (behind the school) between 6:30AM and 7:20AM. $12 for everyone the day of the race. 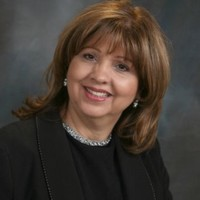 At its Rescheduled Regular Board Meeting of January 15, 2019, the BISD Board of Trustees voted unanimously to name Sylvia Ann Reyna Hatton, Ph.D., as Interim Superintendent. She will start work on Monday, January 21, 2019. Dr. Hatton earned her Bachelors Degree in Elementary Education / Special Education. Her Masters Degree is in Special Education and she earned her Mid-Management administration certificate in 1988. Dr. Hatton earned her doctorate degree in Educational Leadership from The University of Texas – Austin in 1996 followed by her Superintendent’s Certification in 1998. She began her career as a professional educator with the Edinburg CISD and then the Monte Alto ISD. 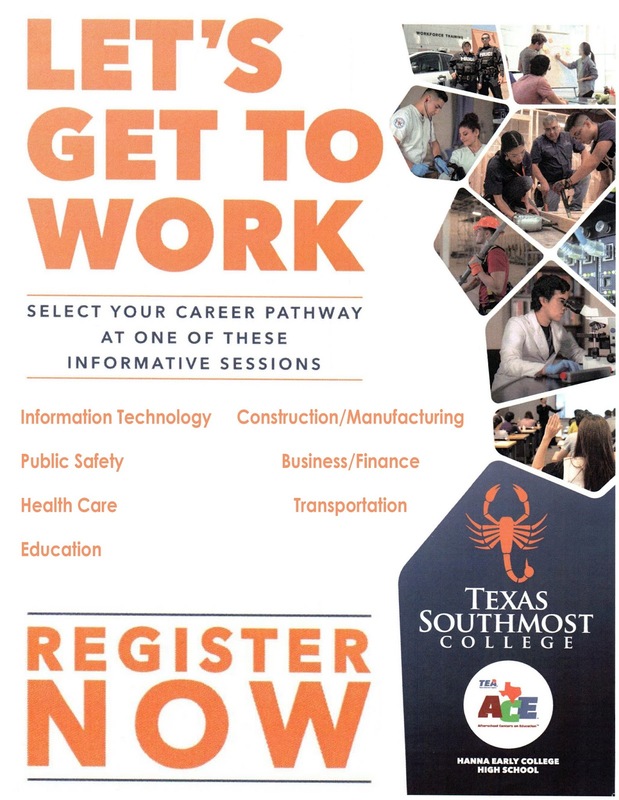 She served for two years as a Special Education Specialist with the Region One ESC followed by two years as an Instructor/Professor for the University of Texas – Pan American. She returned to the Region One ESC as Program Director of General Education Programs and Coordinator of Gifted/Talented Education. For five years, Dr. Hatton was the Assistant Superintendent for Curriculum, Instruction, and Special Programs for the La Joya ISD. In 1992 she was made the Deputy Director of the Region One ESC and then became its Executive Director in 1997 – a position which she held for nine years. The desire to provide systematic improvement to schools and districts led Dr. Hatton to create Hatton Enterprises, Inc. Through her consulting firm and as a partner with the Institute for School Excellence, she has endeavored to engage with school personnel in order to reform, redesign, and transform the instructional environment through leadership team coaching and empowerment. Most recently, Dr. Hatton served as the leadership coach for principals within the Region 13 ESC as they implemented the Texas Blueprint for Early College High Schools. Whether it was leading a district review team for the State of Texas Legislative Board or coaching principals of magnet schools who were seeking to establish public / private partnerships, Dr. Hatton has been at the forefront of the most recent and innovative concepts and strategies affecting our public schools. Dr. Hatton, addressed the principals on Wednesday, January 16, 2019, providing them with an overview of her professional background as well as her vision for continued district growth and achievement. She emphasized that meetings would be used to "deliberate, collaborate, and innovate" so that the educational needs of the students would be met. 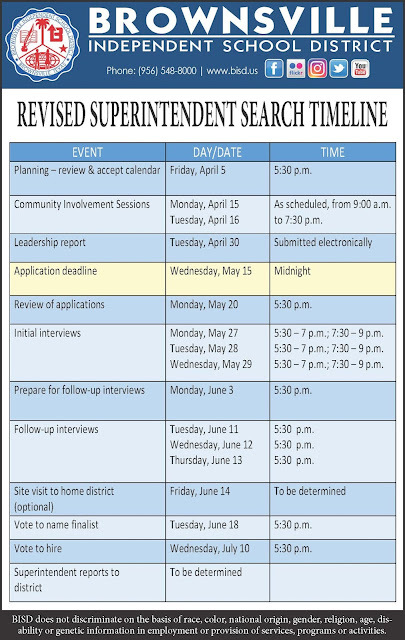 She acknowledged the many accomplishments that have been earned by district campuses and personnel but also reminded everyone that continued progress depended on effectiveness and efficiency and a willingness to always aim higher. On January 12, 2019, the Texas Music Educators Association held the Area G audition to select the 2019 All-State Band and Choir members. In order to earn a position in an All-State performing ensemble, students went through district, region, and area auditions where they competed against others from the Rio Grande Valley, Corpus Christi, Laredo, Del Rio, and San Antonio. 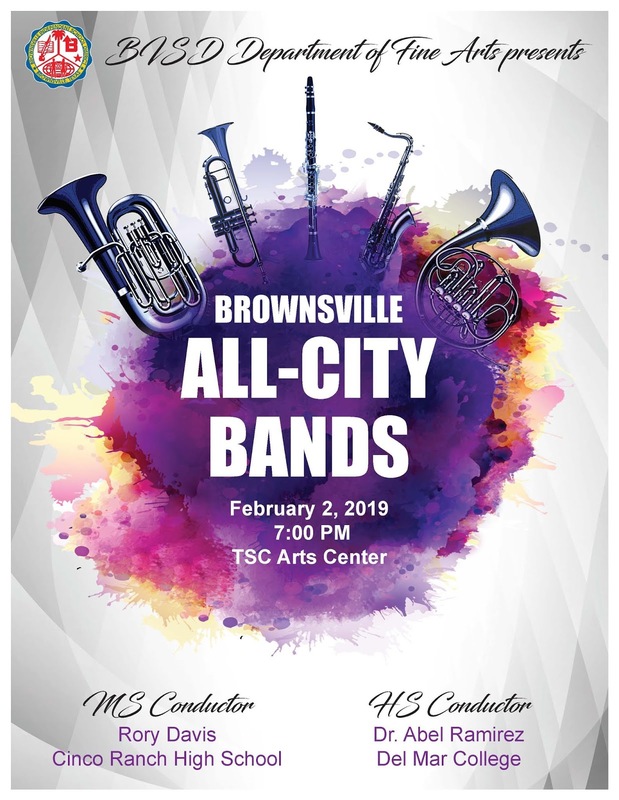 The BISD Department of Fine Arts is proud to announce that 39 Brownsville fine arts music students earned chairs in these prestigious ensembles, ranking them in the top 2% of music students in Texas! 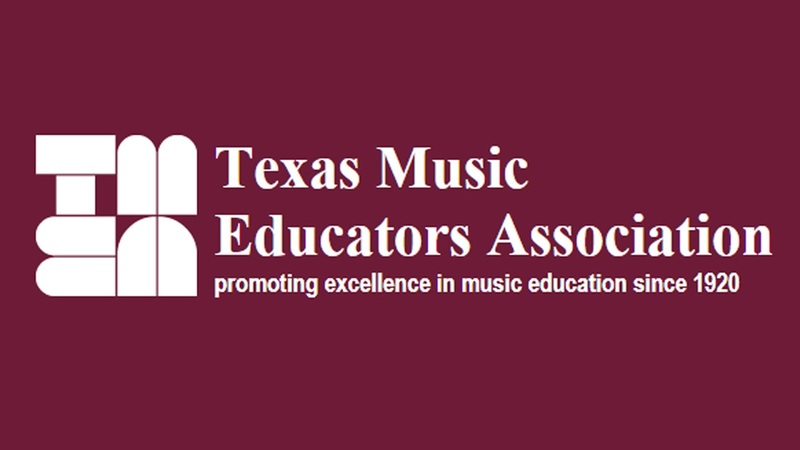 These students will perform in an All-State Band, Orchestra, or Choir at the TMEA convention in San Antonio on February 16, 2019. This year, BISD students earned nine first chairs at this level of competition and Joshua Tovar, Bass I from Veterans Memorial, earned the distinct honor of becoming a four-year All-State Choir member. Congratulations to the following magnificent, young adults who earned a place as one of the top high school musicians in Texas for the 2018-2019 school year! The College Band Directors National Association (CBDNA), Music for All (MFA), and National Band Association (NBA) are dedicated to the attainment of a high level of excellence for bands and band music at all levels of instruction. The Dr. William P. Foster Music Education Alliance “Award of Excellence” recognizes quality programs serving historically disadvantaged student populations. This exciting national initiative honors select educators, and their band programs, which are challenging students and reaching a high level of excellence. The Brownsville Independent School District is extremely proud to announce that not only was the Oliveira Middle School band named as one of the three winners from the Southwestern Division of the nation, but it was also selected as the 2018-2019 Dr. William P. Foster Project - Award of Excellence / National Winner! 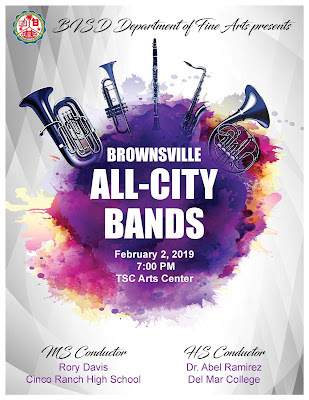 Sincere congratulations go out to the Oliveira Middle School band members, Principal, Cynthia Castro, Head Band Director, Gaspar Garcia, and Assistant Directors Michael Kuntz, Robert Barron, and Jose Manzano.